A team of international astronomers has discovered a low-mass star that exhibits the peculiar chemical abundance ratios associated with the process of creating new atomic nuclei (nucleosynthesis) in a first-generation very-massive star. The team, which includes Timothy Beers, the Notre Dame Chair in Astrophysics at the University of Notre Dame, used the 8.2 m Subaru Telescope’s High Dispersion Spectrograph to make the discovery. The team members published a report, “A chemical signature of first-generation very-massive stars,” in the Aug. 22 issue of the journal Science. Scientists believe that a small number of first-generation stars had a mass 100 times the mass of the Sun or more, but no direct evidence for them had been found to date. First-generation stars were formed of hydrogen and helium gas; other elements, referred to as “metals,” that are present today were formed by nucleosynthesis processes over the lifetimes of stars, or during their explosions, and dispersed into gas clouds where they eventually formed more stars. Researchers expect that, in general, more metals should appear in later-forming stars. Previous work has indicated the likely presence of first-generation stars with masses from 10 to 100 times that of the Sun. However, the researchers discovered a star, called SDSS J0018−093939, that had a significantly different ratio of elements, suggesting that it was born from very-massive star material, perhaps up to several hundred (or more) times the mass of the Sun. The team used high-resolution spectroscopy to analyze a large sample of low-mass metal-poor stars conducted with the Subaru Telescope. Low-mass stars that formed at early times are still shining in the Milky Way and have recorded the nucleosynthesis patterns formed by previous first-generation stars that exploded shortly after the Big Bang. While the star reported by the researchers had far less iron than the Sun, as expected, it also had less carbon, magnesium, cobalt and other elements than others born from moderately high-mass stellar ancestors. It is the first such star identified in the Milky Way. 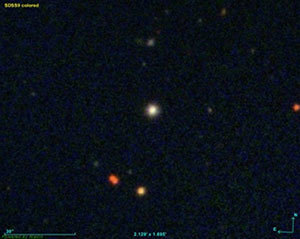 The astronomers hope to discover more stars similar to this one, and refine their analysis in order to confirm the existence of very-massive stars in the first generation. Such stars could have contributed to the development of super-massive black holes like the one at the center of the Milky Way. Co-authors of the publication are Wako Aoki of the National Astronomical Observatory of Japan, Nozomu Tominaga of Konan University, Satoshi Honda of the University of Hyogo and Young Sun Lee of New Mexico State University. 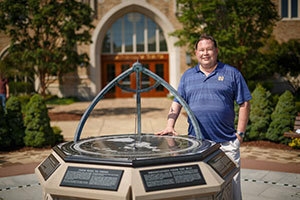 Originally published by Gene Stowe at news.nd.edu on August 21, 2014.